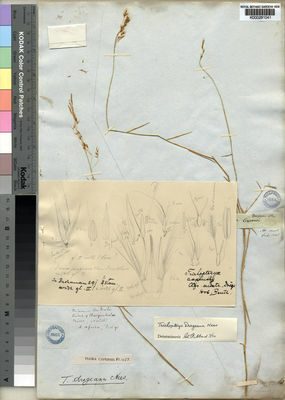 Annual (2), or perennial (3). 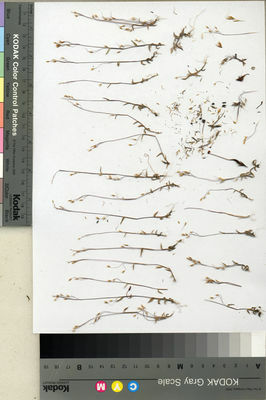 Rhizomes absent (4), or short (1). 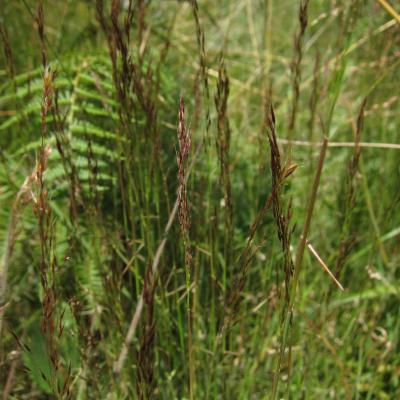 Culms erect (3), or geniculately ascending (3), or decumbent (1), or prostrate (2); 2-38.1-100 cm long; firm (2), or wiry (3), or woody (1). Ligule a fringe of hairs. 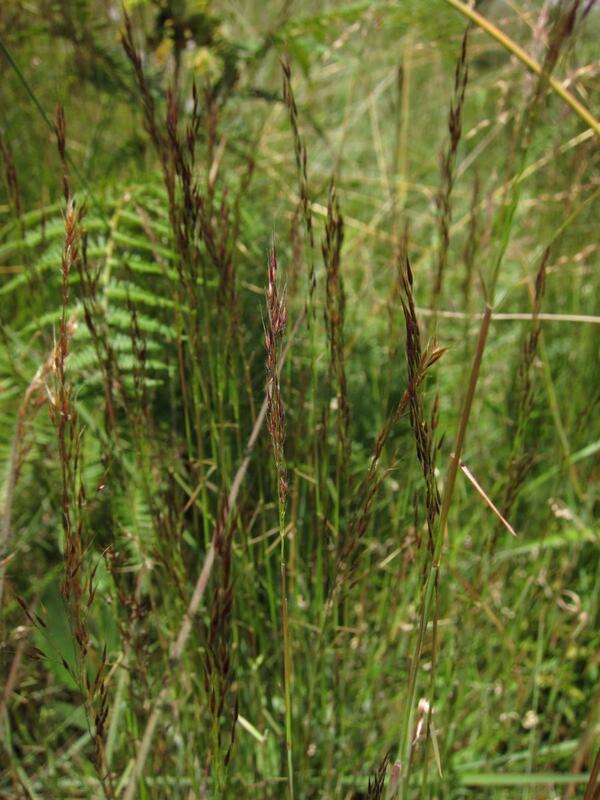 Leaf-blades linear (2), or lanceolate (4), or ovate (2). Leaf-blade margins cartilaginous (1/1). Spikelets comprising 1 basal sterile florets; 1 fertile florets; without rhachilla extension. 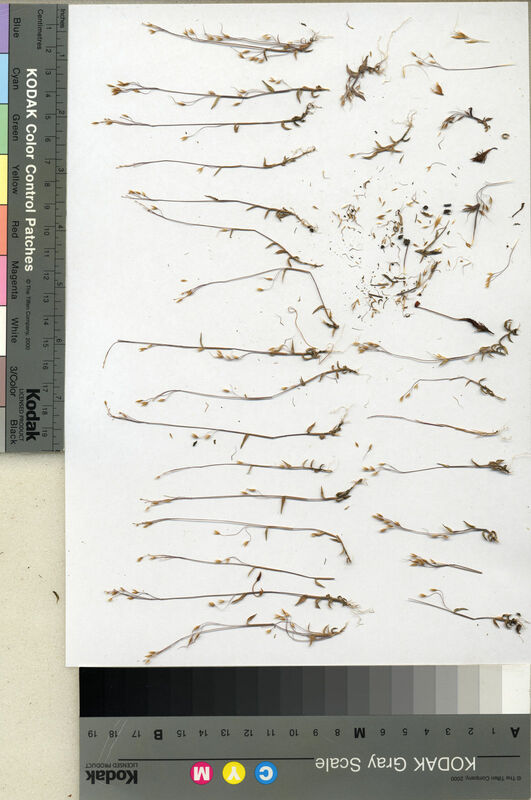 Spikelets lanceolate; laterally compressed; 2.5-4.2-6 mm long; breaking up at maturity; disarticulating below each fertile floret. Floret callus pilose; truncate (1), or obtuse (4). 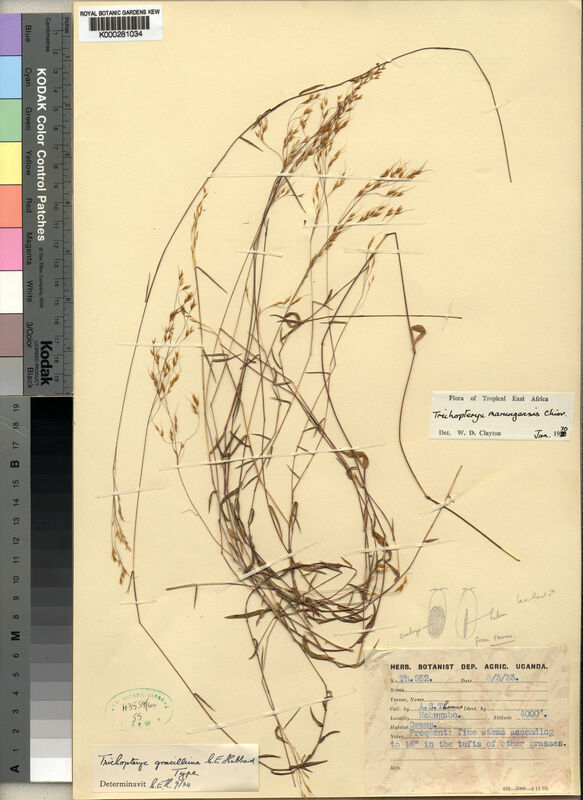 Glumes persistent; reaching apex of florets. Lower glume lanceolate (1), or ovate (4); 0.5-0.581-0.75 length of upper glume; chartaceous; without keels; 3 -veined. Lower glume surface glabrous (4), or puberulous (1), or pubescent (3), or setose (4). Lower glume apex acute (4), or acuminate (1). Upper glume ovate; chartaceous; without keels; 3 -veined. 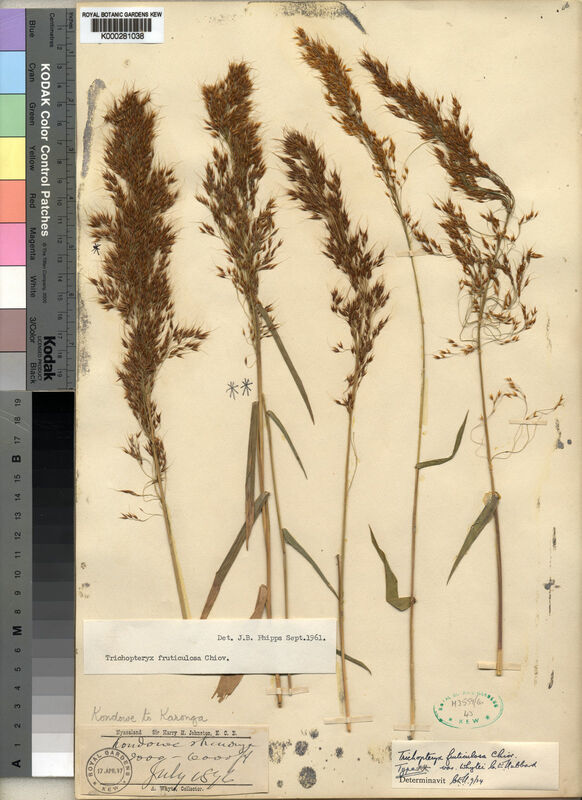 Upper glume surface glabrous (4), or puberulous (1), or pubescent (3), or setose (4); with simple hairs (1), or tubercle-based hairs (4). Upper glume apex acute. 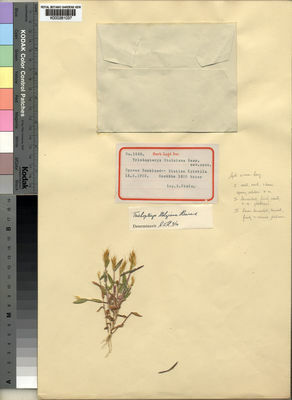 Basal sterile florets male (1), or barren (4); with palea. Lemma of lower sterile floret lanceolate, or elliptic, or oblong, or ovate; chartaceous; 3 -veined; acute. Fertile lemma oblong; chartaceous; without keel; 5 -veined. Lemma surface glabrous (2), or pubescent (3), or pilose (1); with a transverse row of hair tufts. Lemma margins involute; interlocking with palea keels. Lemma apex lobed; 2 -fid; awned; 3 -awned. Principal lemma awn from a sinus; geniculate. Lateral lemma awns shorter than principal. Palea 2 -veined. Palea keels approximate. Caryopsis with adherent pericarp; fusiform (1/1). Hilum linear (1/1). Caryopsis lanceolate, glabrous, the hilum linear. Panicle open or contracted, bearing spikelets singly or in pairs. Spikelets brown, disarticulating beneath each floret. Inferior lemma 3-nerved. Superior lemma bilobed, the lobes finely awned, with a tuft of hair below each lobe and a persistent awn from the sinus; callus semicircular (except T. stolziana), c. 0.1 mm. long; palea not winged. Clayton in Kew Bull. 21: 120 (1967). corr. Nees in Fl. Air. Austr. : 339 (1841).